It is common that parents want their children to get the best care. However, the busy lifestyle and work timings do not provide the necessary time for them to take care of their kids. However, finding an alternative for childcare has become common for parents. Hiring a nanny is most useful and helpful for providing effective childcare. Though a nanny is hired, parents still worry for the safety of their kids. This is because of the fear that the child may be abused by the nanny. A nanny cam used in the home can reduce the worries and anxiety of the parents. They can look and know what their child is doing at home when they are at work. It is a wireless in-home spy camera. Some people install the camera at a hidden place without telling the nanny. However, some people may inform the nanny at the time of hiring itself that a camera would be placed in the home. If she likes the option, then only she would join. Otherwise she will simply reject your offer. Some people also ask the nanny to find the appropriate position where the nanny cam can be kept. As the nanny cam records all the activities, you can find whether the nanny is involved in her responsibilities as expected. Many cams are available at affordable prices which can help you ensure safety. Using nanny cams are legal in some countries. However, they are not to be placed in some private rooms like bathrooms or bedrooms of the nanny. They have to be installed in a common place where the child is taken care mostly. However, there are some disadvantages of using cameras. The nanny may feel bad that the parents distrust her. This may indirectly affect her role in childcare. It may give rise to some personal issues also. 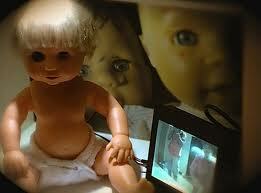 Certain daycare centers also install cameras so that the children can be viewed by their parents. Why Web Site Maintenance is Important?